The no hassle pre-owned experience at Sherwood Park Volkswagen. At Sherwood Park VW, we are pleased to offer you No Hassle Fixed Pricing, so the price you see is what you pay. We are proud to give you the peace of mind that all our pre-owned vehicles are priced to market value. So take all the guessing out of purchasing a pre-owned vehicle and ensure you get the best price right up front by visiting our dealership today in Sherwood Park. The price you see, is the price you pay. Fixed commission sales professionals mean no hassles. With our fixed commission sales model here at Sherwood Park VW, our staff are compensated the same every time ensuring that we find the right vehicle that is right for you! It does not matter if you are in the market for a $5,000 vehicle or a $100,000 vehicle, Trust our sales team at Sherwood Park VW for your next pre-owned vehicle purchase. An experience you can trust. When people think of purchasing pre-owned, there may not be feelings of trust and peace of mind. However, we want to change this! 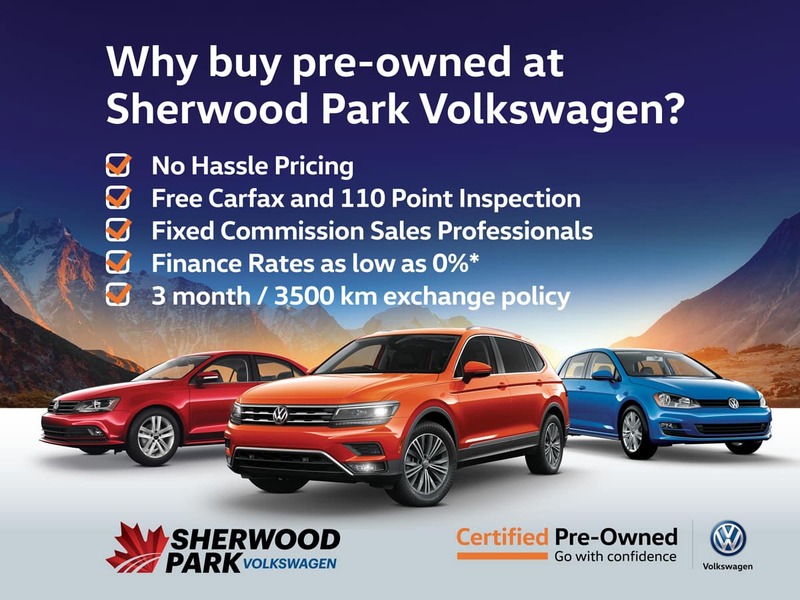 At Sherwood Park VW we are turning the pre-owned purchase experience on its head, and give you a pre-owned purchase experience that you can fully trust. We offer great perks including best in class vehicle reconditioning standards and the lowest finance rates available – as low as 0% OAC. Contact us today to start your no hassle experience! Contact us today at Sherwood Park VW if you are ready to purchase a used vehicle that fits your needs and your budget. You can view our online inventory, which consists of an extensive range of used and certified pre-owned Volkswagen vehicles in Sherwood Park. Yes! 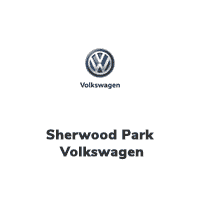 Please sign me up to receive e-mails and other communications from Sherwood Park Volkswagen and please send me information on products, promotions and other related information. Yes! Please sign me up to receive e-mails and other communications from Volkswagen Canada and please send me the Volkswagen newsletter, exclusive invites, special promotions and other related information.